Moving Average Ribbons is a trading strategy mainly used by scalping traders (who want many small gains rather than one large gain). For this strategy, we plot exponential moving averages(EMA) for different period lengths on the same chart to identify buy/sell signals. We plot 8 EMAs, with the base line being the shortest EMA (default = 10 days) and the following EMAs having equal increments (default increment = 10 days). So, in default mode, your EMAs range from 10 days to 80 days. Refer to my previous tweets regarding EMAs to know the meaning behind short term EMAs(STEMA) relative to long term EMAs(LTEMA), how and why they behave differently, and how you can adjust them to get desired results. .. the bottom, then peak and then continue the downward movement making lower lows and lower highs. 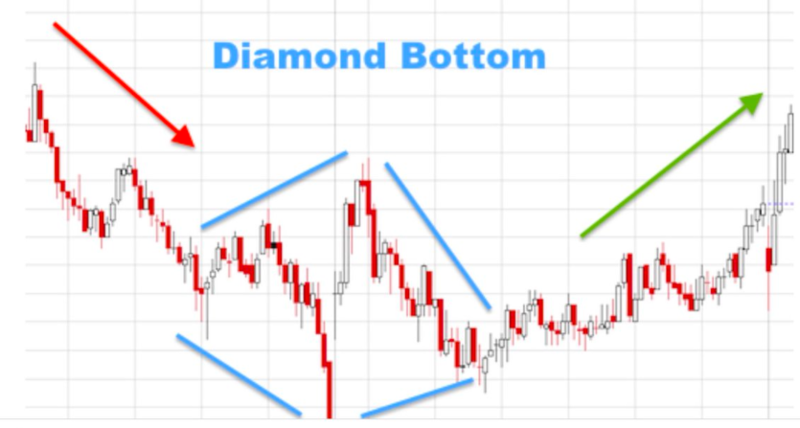 An easy way to spot diamond bottom would be if the price is at the support and is creating a trough. They are quite difficult to spot (atleast for me). The price target for this pattern is the price difference of the highest peak and lowest trough added to the breakout point after the diamond is created. The breakout point would be the price before the diamond is formed. These are usually quite skewed. 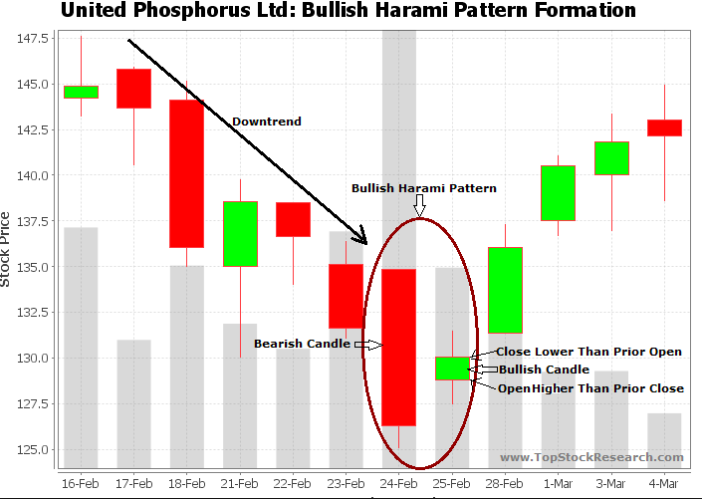 Marubozu Pattern is a one candle pattern and is one of the easiest to spot. It is just a candle with a very long real body and no upper/ lower wicks(shadows). It can be anywhere on the chart and can be bullish/bearish. A bullish Marubozu means that the prices opened at the lowest price and closed at the highest point. This shows that the bulls had the control the entire period of the candle. 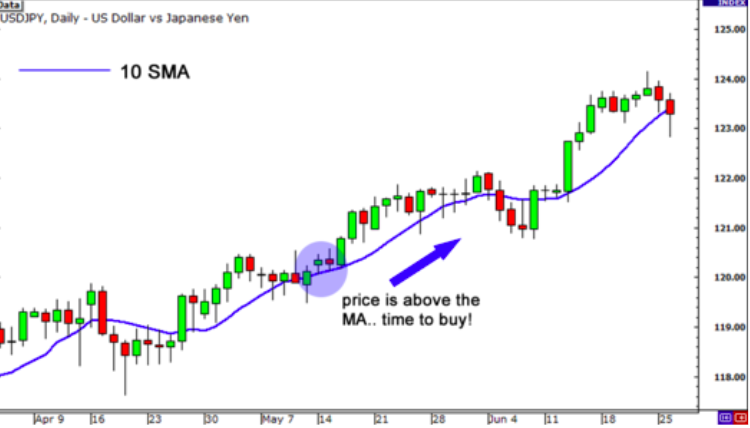 If a Bullish Marubozu is observed after an uptrend, it is a sign of continuation and indicates..
 that the prices will continue to soar. When observed after a downtrend a reversal is predicted as it shows that bulls are in control after the bears have driven down the price. This point could indicate the support level of the stock in this case. Fibonacci Retracements is a trading technique that is created out of Fibonacci sequence which is mathematically derived. 0, 1, 1, 2, 3, 5, 8, 13, 21, 34, 55, 89, 144, 233, 377, 610.. This is a special sequence as it has many unique properties. Firstly, all numbers after 0,1..
 How can we use this sequence to trade? When a stock is having a pullback, we need to decide the optimal point to enter. Fibonacci tells us that prices move in waves and the smaller the retracements that create the waves, the longer the trend. Moving Average Convergence/Divergence Oscillator (MACD) is a well known trading strategy which uses a long term EMA(LTEMA) and a shorter term EMA(STEMA). MACD is a trend line which is calculated by deducting LTEMA from STEMA. MACD = STEMA - LTEMA. This indicator helps to clearly see the long term and short term momentum in the market. It consists of a zero line (centreline), MACD and a signal line. When MACD is < 0, then crosses 0, it means that the STEMA was below the LTEMA and is rising above it. The crossover point between them is the point where MACD is 0 and should be a buying signal (logic discussed yesterday). An MACD above the zero line means that the price is in an upward momentum. 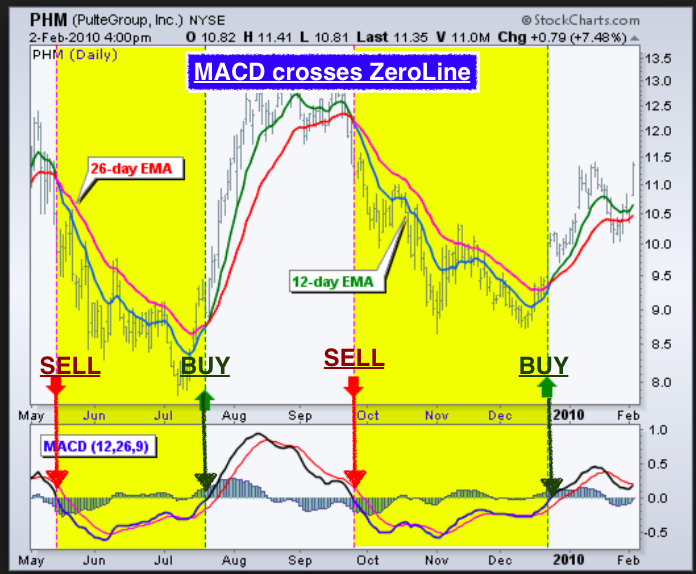 Conversely, when MACD is above 0 then becomes negative, it is a selling signal. 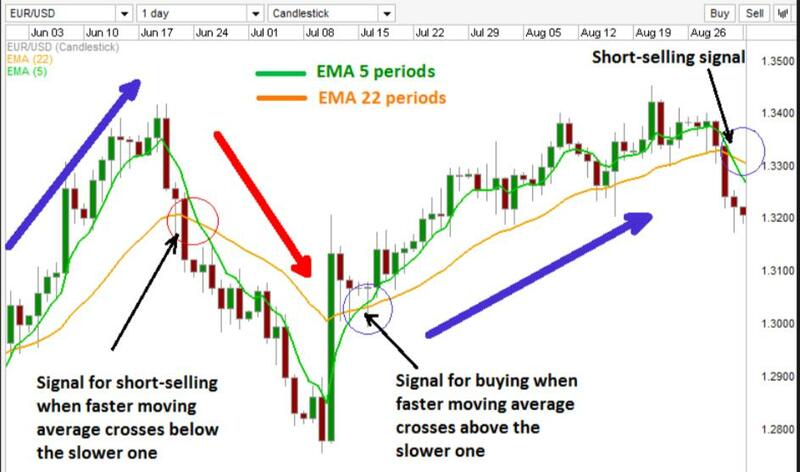 Double Crossover Moving Average is a trading strategy that uses two moving averages, a shorter term EMA and a relatively longer term EMA as indicators to identify buying and selling points. Intuitively, a longer term (LT) EMA would be smoother and would not hug the prices..
 ..recent prices are higher than the average price over the longer term. The LT EMA is slower than the ST EMA(has more lag) as it takes into account the past prices over a longer period of time. Hence, the 2 EMA would cross when the price is in momentum and this would give..
EMA would be (Current Price - EMA of previous day) X (Multiplier) + EMA of previous day. This essentially means that any significant change in the prices would have a large impact on EMA and this effect would not have a lasting impact on the following EMAs as the new change (which might be smaller) would have a higher weight. Simple Moving Average Indicator (SMA) can be used to identify trends in the market and to know the support and resistance levels. It is calculated by adding the closing prices of the securities over a period of time say 10 days and dividing it by number of periods taken. This makes shorter term SMAs to be highly volatile as they change drastically with a sharp move in the market as compared to longer term SMAs that react slowly to such moves. This can be done for minutes, days, weeks.. This helps us to get a overview of the past of the stock. The simplest way to predict the future trend is to plot the SMA curve on the chart of candlesticks. If the candles are above the SMA line, it is an uptrend. Rounded Tops/Inverted Saucer is a reversal pattern which signals the end of an uptrend and the possible start of a downtrend. It looks like an inverse U, hence, the name. It gives the traders an opportunity to go short. The prices first rise at an increasing rate showing the uptrend prior to the Rounded Top. Then the price moves horizontally (increases at decreasing rate then decreasing rate) and then falls. The neckline for this pattern is the lowest point of the inverse U, this forms the..
 support level for the pattern. 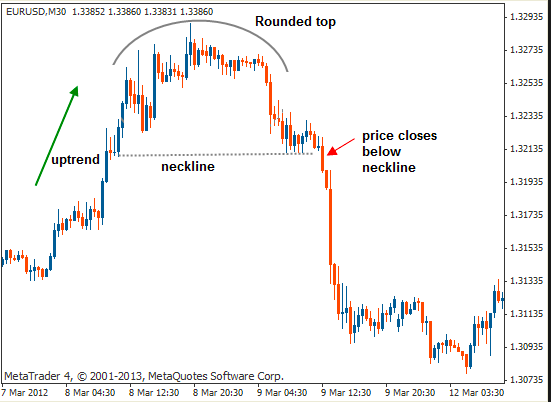 After the rounding top is formed and the price breaks through the neckline(support), the pattern is said to be complete and is a good point for the traders to go short. The stop loss for this can be created above the support level. Double Bottoms is a reversal charting pattern which looks like a "W" with the lower troughs of the pattern being nearly the same, i.e bouncing from the support. For this pattern to be confirmed, the volume on the upward movement after the second trough should be high. 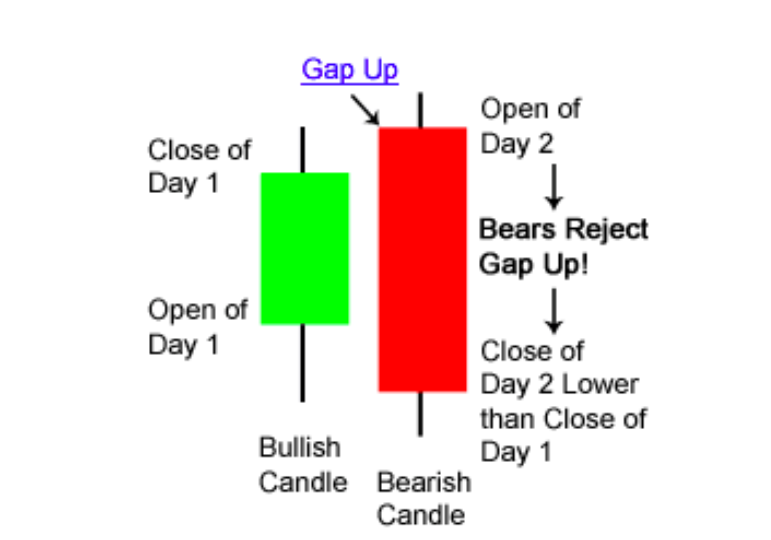 For the pattern to be seen successful, chartists believe that there should be a minimum of 3 months gap between both the lows (daily candles). The longer the duration between both lows, the higher the probability of success of the pattern. There should be a long term (few months) downtrend prior to this pattern which should be reversed after Double Bottoms is observed. The pattern is considered to be complete once the price has advanced above the resistance level created by the first uptrend. 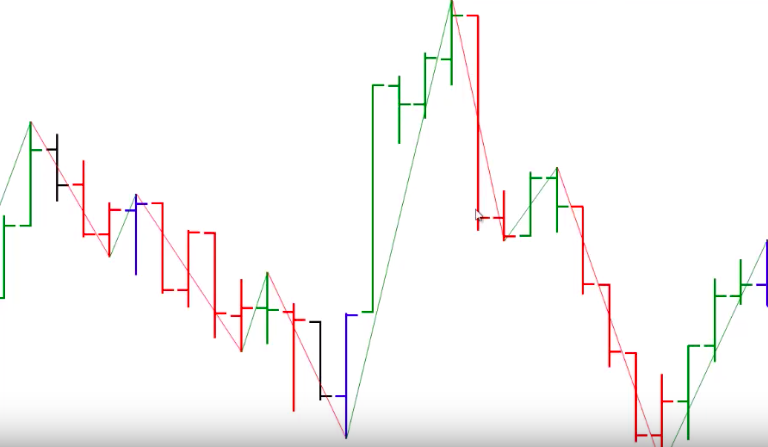 Another way to look at a swing chart is by drawing trend lines on the bar chart with the 4 types of bars (as discussed yesterday). An upward sloping line is made with its peak on the highest UpDay Bar. When followed by a Down Day Bar, the trend line is a downward sloping..
 line with the trough at the lowest point of the Down Bar. If an Upday bar has subsequent up day bars (or with inside bars in the middle), the trend line goes straight to the highest high obtained until there is a Down Day Bar. Similarly, if a Downday bar is followed by ..
 more down day bars (can have inside bars in the middle), it makes a trough at the lowest low of the down day bars. This is true for 1 Swing Bar Chart which essentially means that the trend lines would change after 1 bar of the opposite trend is observed, say upday to downday. Swing Charting is a trend following charting technique used in TA which follows the principles of momentum investing and lets one know when the trend is changing against one's position in the market. They do not consider time, opening and closing prices; rather they consider highs and lows of the security. If the trend changes the direction of the swing line changes in the opposite direction. It is able to filter out noise and is able to identify the ongoing trend. Swing charting can be done using a Gann chart which is essentially a modified bar chart. In a bar chart, the top of the vertical line indicates the highest price a security is traded at during the day, and the bottom represents the lowest price. We use a basic bar chart ..
 Long legged doji (LLD) is a candle with the same open and close(or small body) and very long upper and lower wicks with the body in the middle or mid range. It is a sign of extreme indecision in the market and helps identify reversals of market trends. A Bullish long legged doji is one which is found after a downtrend and leads to a bullish reversal. A confirmation for such a candle is the next days/week's candle. This should be a bullish one to confirm the reversal. A close below the midpoint of the candle is seen as a..
 weak sign as it means that the bears are still stronger than the bulls. "The doji says the market is at equilibrium. The subsequent candle declares who won the battle: the bulls or the bears." 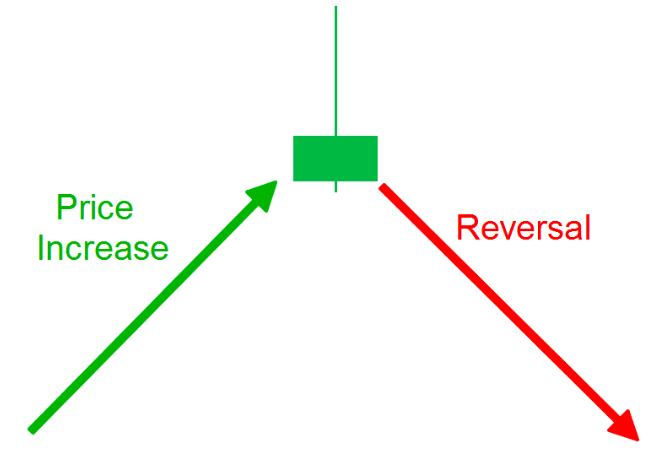 Reversals usually occur when there is seen to be uncertainty in the market. Bullish Harami is one such 2 candle pattern that signifies uncertainty. It is identified as a bearish candle followed by either a bullish candle. Bullish Harami occurs at the bottom of a downtrend. The second candle is gapped up and shows the change in the perceptions of the bulls. This pattern can be confirmed by a third bullish/bearish candle which has its closing above the previous bullish candle's close. This forms the Three Inside Up Pattern. Doji is a candlestick pattern that can not only show reversal of a pattern but also show continuation. Essentially, a Doji is formed when the open and close of a stock are the same and its highs and lows decide the kind of Doji candle formed. A Doji signifies indecision in the market as the market closes where it opened, irrespective of how far the bulls/bears pushed the price. A Doji occurring after an uptrend could mean that trader should now exit out as there is no real confirmation. The colour does not matter. There are two major kinds of Doji candles, namely, Dragonfly Doji and Gravestone Doji. 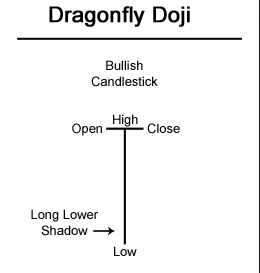 A Dragonfly Doji looks like a hammer but without the real body. It is a candlestick that has the same (about the same) open, close and high point and a very long lower wick (shadow). 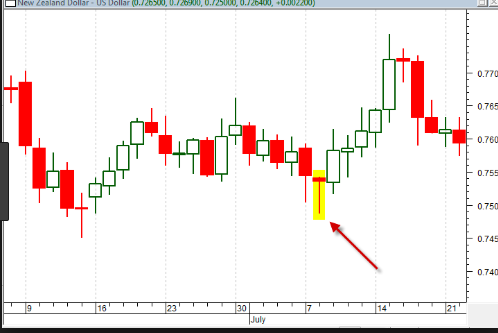 Tweezers pattern is a pattern of two candles which signifies the reversal of the trend of the market. This is probably the only pattern which does not really focus on the shape or formation of the candles, the highs and lows of the candles are crucial. There are 2 kinds of Tweezer patterns- Tweezer Top and Tweezer Bottom. A tweezer top occurs at the peak of an uptrend and reverses the market into a bearish one. Tweezer Bottom occurs at the bottom of a downtrend and reverses the market into a bullish one. RSI Divergence is a tool that could also help in knowing potential reversals in the market by comparing RSI movement with the direction of the market trend. Divergence is of two kinds- bullish and bearish. A bullish divergence occurs when the market is on a downward trend..
 but the RSI indicator for the same period shows an upward trend. To understand how this works, we first need to understand 4 crucial terms. Higher high(HH), Higher low(HL), Lower low(LL), lower high(LH). 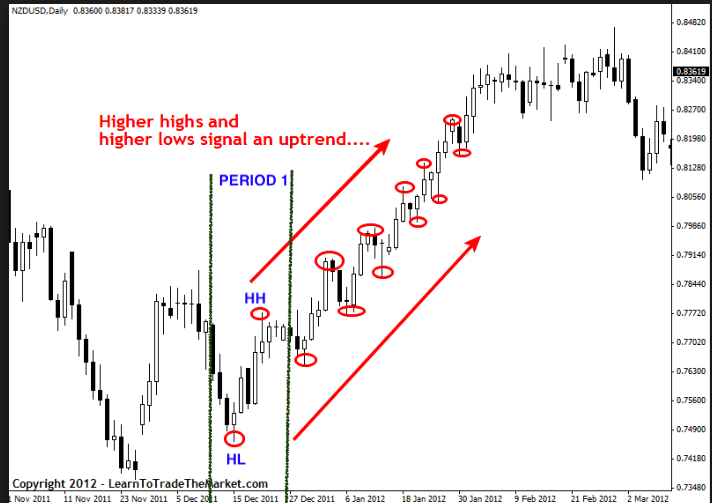 HH and HL occur during an uptrend. A HH is the peak formed when the..
 ..prices are rising. HL is the highest low price that the security could achieve. It means that when the price is rising but it retraces a little bit to form the peak, the lowest point of the retracement could form. If you see Period 1, HL is formed before HH. Relative Strength Index (RSI) is a MA technical analysis indicator that measures the performance of current prices relative to its past prices. It is essentially a line graph that oscillates between the values of 0 and 100 and it is measured over a period of 14 days (default). We can calculate RSI using the formula in the image. This means that when the current prices are lower than the prices observed in the past 14 periods on average, RSI is lower. Similarly, when current prices are higher, RSI is higher. When RSI is 0, the Average Gain= zero which means prices moved lower all 14 periods. There were no gains to measure. RSI is 100 when the Average Loss equals zero. This means prices moved higher all 14 periods. There were no losses to measure. 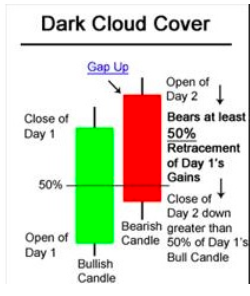 A pattern similar to Bearish Engulfing is the Dark Cloud Cover pattern. 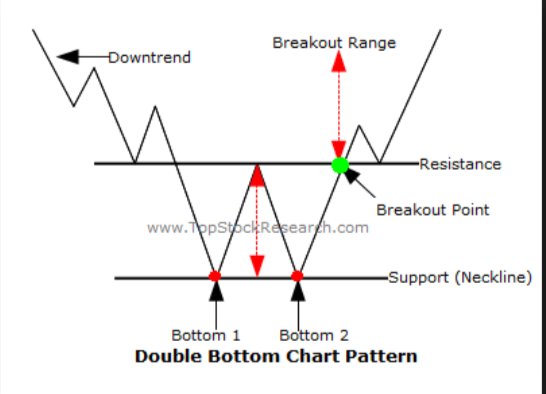 It is a two candlestick pattern that is formed at the top of an uptrend and signals the reversal to a bearish market. The first candle is a bullish candle with a strong real body and short wicks. The lower the stock closes, more significant the pattern becomes & more the chances for reversal of the trend. If the first candle hits the resistance level formed by the stock, it confirms the pattern further. Higher volume in the second candle further enhances our analysis. The size of the first candle is not specified, it can even be a doji or a smaller candle. It needs to be within the limits of the body of the second candle. The first candle shows the end of the uptrend and a smaller candle is preferred as it shows the indecision between..
 .. the bears and bulls. The body of the second candle (bearish) is important and it shows the strength of the pattern. This second candle opens where the first candle closed or above it (giving a gap up). The bears not only push the prices down to fill the gap but take the ..
 A shooting star is a reversal pattern which looks like an inverted hammer but occurs at the end of an uptrend (bull to bear). It has a small body with a large upper wick(shadow). It is a potential market top and warns the trader of the end in the uptrend. As it is a part of the Hammer family, this pattern follows the characteristic of being any colour, giving importance to the formation of a large upper wick (to be atleast twice the size of the real boy). The wick implies that the market supply was tested to check resistance. Traders can use this as a signal to sell/ go short after the pattern has been confirmed. 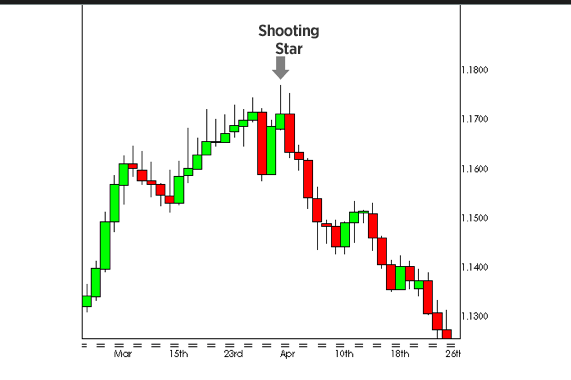 Once, a shooting star is sighted and there is a large bearish candle, given that this occurs after an uptrend, the traders should sell. Hammer is a candle stick pattern that signifies excessive selling in the market and occurs during a downtrend. It is a bullish signal that warns the market of a potential reversal in the trend of the market to an uptrend. 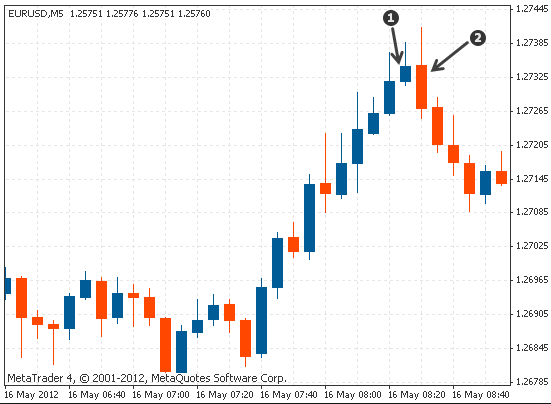 In this pattern, the security closes near the opening price after it has tested the market for the demand. The price is lowered by the bears in the market and bulls drove the price up. At the low point created by the bears, there is an increase in buying interest. 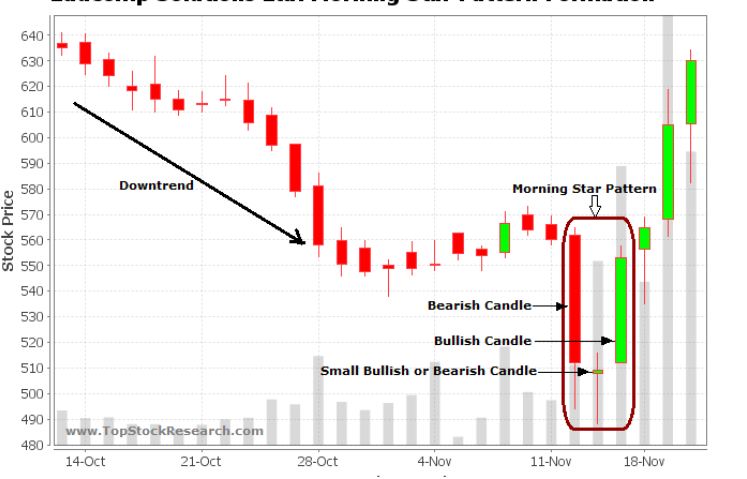 Morning Star is a reversal candlestick pattern from a bearish to a bullish market. It is formed after a downtrend when the market has hit bottom and signifies the start of an uptrend. This pattern consists of 3 candlesticks. The first being a strong bearish whole body candle, followed by a very thin body candle (called star here) and then followed by a strong bullish candle. The important thing to note is the gap down between the first two candles. A gap down essentially means that the opening of the star is lower than the closing of the first. The star need not open below the lower wick of first candle but can exist between the closing price and the lowest price of the first candle. Donchian Channel is a moving average indicator which gives us an upper band, a lower band and a middle band. The upper and lower band give the high and low of the past 20 days(typically). The area between the upper and lower bands represents the Donchian Channel. Essentially, its like a support and resistance line and shows the highest highs and lowest lows. The middle band shows the average of the upper and lower bands. The range of this channel depends on the volatility of the market with a wider channel meaning higher volatility. The upper band shows the extent of bullish force in the market for the observed period(typically 20 days). This means that the Donchian channel will look back for the highest high and the lowest low price over the last 20 candlesticks on your chart and then plot that value.